Cáritas Española (Caritas Spain) is the official confederation of the organizations charitable and social action of the Catholic Church in Spain, established by the Episcopal Conference. Caritas Spain develops within an important role in promoting social support and various social groups in precarious situations and / or social exclusion. The commitment to these situations is supported by the free labor of more than 65,000 volunteers, representing 90 percent of the human resources of the institution in Spain. Guillermo Fernandez Maíllo has been dedicated to tackling social exclusion more than 25 years, working for CARITAS on social action. He trained as sociologist and social worker and holds a Master Degree in Management of Social Organizations. He currently works with the Study Team at Caritas Spain and the Technical Committee of the FOESSA Foundation (Foundation of Applied Sociology studies). 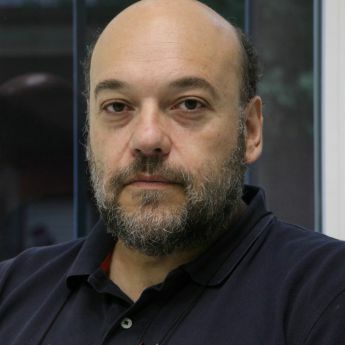 He is a member of the team that has coordinated the development of the VII Foessa Report on exclusion and social development in Spain and the reports that have been made for each of the Autonomous Regions, offering an analysis of social exclusion and the role of the third sector in this aspect.